ZSL Library is open weekdays (but not bank holidays) so why not call in and use our literature and resources or simply use the Library as a place to study? If you are in London during the Easter vacation we could be the place for you to be! As well as being able to borrow books, consult journals and Zoological Record you can use our free wi-fi. Search our web based Library catalogue online to check our holdings, it also contains links to some relevant online resources. No appointment is needed to visit and use ZSL Library, simply call in with your Fellowship card. If you find you want to consult any of our 'special collections' i.e. historic books, ZSL archives, art works then it is best to agree a day and time with the Library team. ZSL Library is in the Zoological Society of London's main office building, on the Outer Circle of Regent's Park, approximately 200 yards East of ZSL London Zoo's main gate and adjacent to the ZSL Meeting Rooms. Find out more information about the Library. Why not include ZSL Library in your next visit to ZSL London Zoo? Members of ZSL are very welcome to visit and use ZSL Library, one of the major zoological libraries in the world, simply by showing their membership cards. ZSL Library contains a wide range of books and journals on all types of animals and their conservation, with a special collection of material relating to zoos. 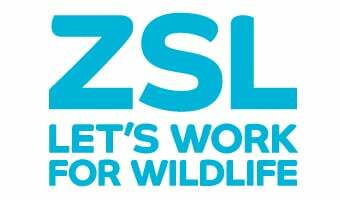 Find out more about becoming a Fellow of ZSL . Discover the benefits of a ZSL Fellowship. Further information about ZSL Library. Remember : Fellows can borrow 6 books at any one time; Student Fellows may borrow 2 books at any one time. Fellows are also welcome to call in to ZSL Library, without a prior tour, on production of their Fellowship card - staff are always on hand to help first time visitors.